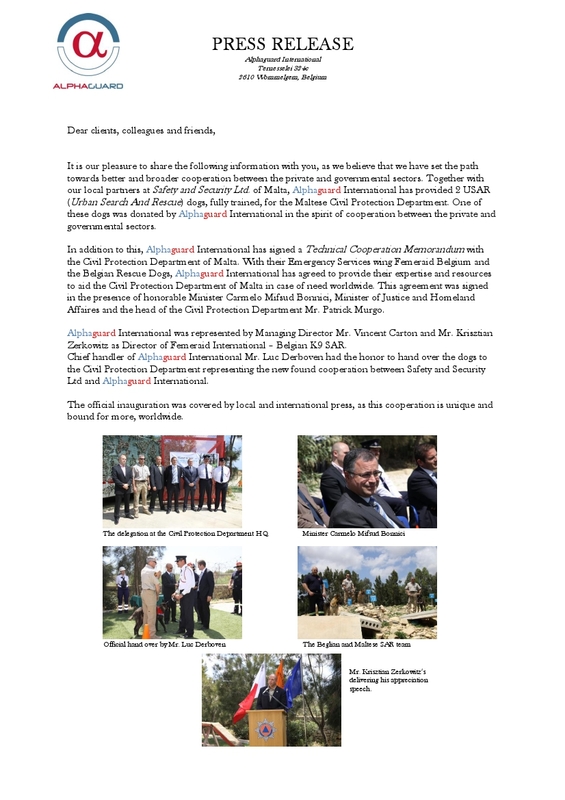 On the 4th May 2011 Knight Krisztian Zerkowitz, Director of Femeraid International – Belgian K9 SAR, signed a Technical Cooperation Memorandum in La Valetta with the Civil Protection Department of Malta. With their Emergency Services wing Femeraid Belgium Unit and the Belgian Rescue Dogs (represented by Alphaguard Co.) agreed to provide their expertise and resources to aid the Civil Protection Department of Malta in case of need worldwide. This agreement was signed in the presence of honourable Minister Carmelo Mifsud Bonnici, Minister of Justice and Homeland Affairs and with the head of the Civil Protection Department Mr. Patrick Murgo. By coincidence Mr. Zerkowitz travelled to Malta – in order to sign the cooperation memorandum and attend the press conference – on the very same day when the International Conference of EFUS (European Forum for Urban Security) took place in the country. Therefore Mr. Krisztian Zerkowitz – as Country Representative of IBSSA for Belgium was invited to attend the EFUS meeting too – as member of the IBSSA delegation and he held an interesting presentation on the protection of merchant ships against piracy. So far 110 boats have been successfully defended by IBSSA Belgium. 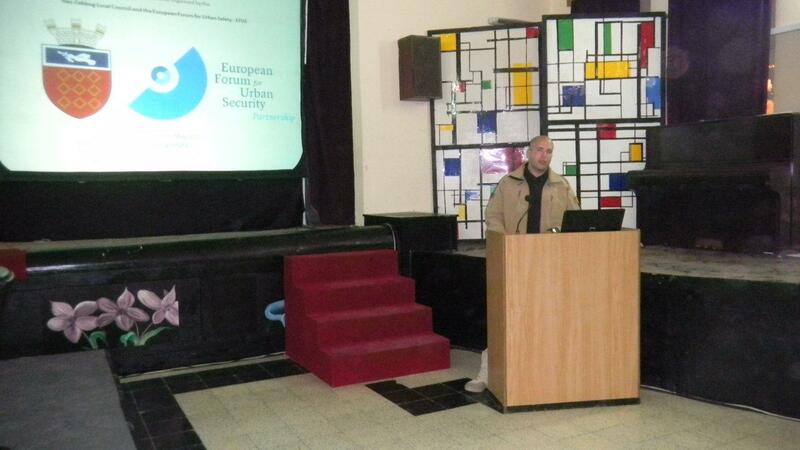 In his speech, Mr. Zerkowitz – as Director of the Femeraid Belgium Unit – also reported about the recently signed cooperation memorandum, and informed the conference participants that Femeraid Belgium Unit and the Alphaguard Co. provided 2 fully trained K9 USAR (Urban Search and Rescue) dogs for he Civil Protection Department of Malta. One of the dogs was donated in the spirit of cooperation between the private and the governmental sectors.